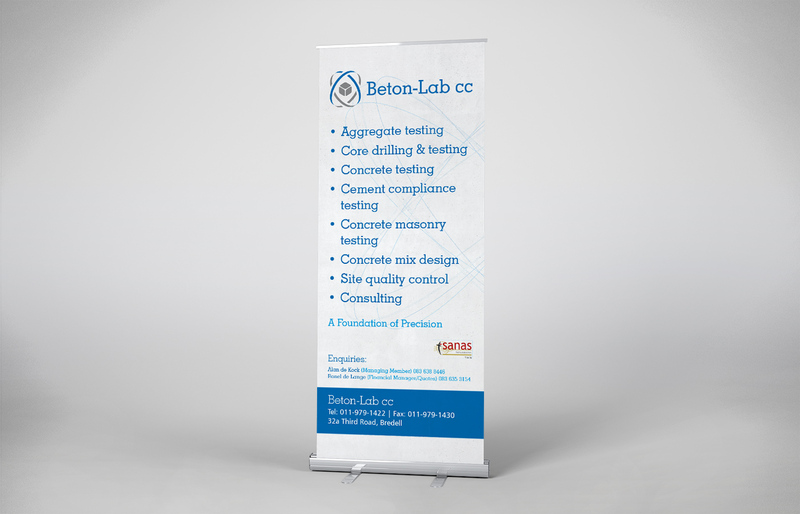 Beton-Lab needed a pull-up banner to use in a variety of applications. We designed this pull-up that clearly and simply communicates the most important business functions of the company. The pull-up banner is versatile, cost-effective, collapses for excellent portability and is extremely hard-wearing.